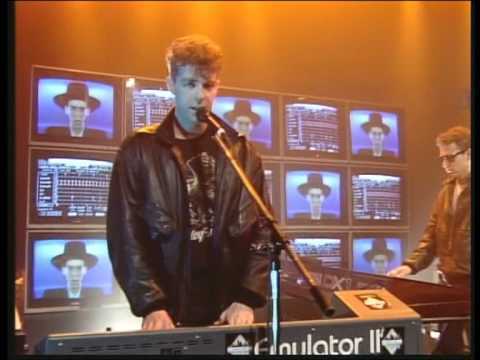 In 1986 I was working for a audio visual company by the name of Viewplan and we were approached to supply some monitors for the Pet Shop Boys performance on the Old Grey Whistle Test. It meant going along to the studios, setting them up and staying while the show was broadcast…I almost begged to be put on the job! We arrived early in the morning and took our monitors into the studio. Video walls were in their infancy at this point so we just used standard Sony monitors that we stacked on top of each other and secured together using some metal strips attached by the screws that usually hold the speakers in place. The ever safety conscious BBC producers were concerned they might fall over so they suggested that we use some of their stage weights and braces. Firstly though they had to get permission from the stage crew for us to be able to move and install them! We were provided with a video feed from a VT machine that fed one half of the monitors and the BBC sent us a camera feed which was piped into the other half. At some point somebody decided that for one song this would be replaced by the output from the Fairlight which can be seen during Opportunities! Talking of the fairlight the guy who programmed them was there and suddenly noticed that we were using a degaussing wand to sort out the images on the TVs (lots of TVs together used to interfere with each other due to magnetic fields) – he asked us what we were doing and when he found out that we were using a huge magnet panicked because he had all of the discs that contained all his work on them! I also remember standing listening to him talking with Trevor Dann the producer of the OGWT at the time – there was some serious name dropping going on but great to earwig on the conversation. 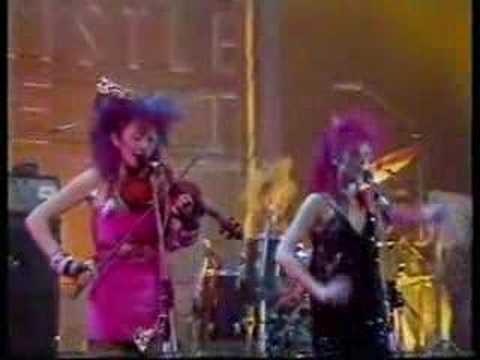 Their version of Spirit in the Sky was a wonder to behold – not sure if it was this time (or when Dr & the Medics covered it) that the presenters said they’d rang Norman Greenbaum for a comment and were told he couldn’t come to the phone as he was milking the goats! 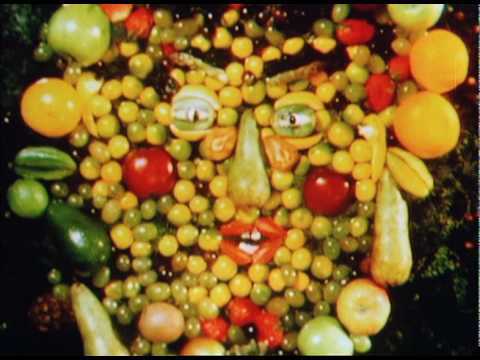 Also on the show that evening was the premier of Peter Gabriel’s Sledgehammer video which was groundbreaking at the time. Obviously I got to see it during the rehearsals in the afternoon! 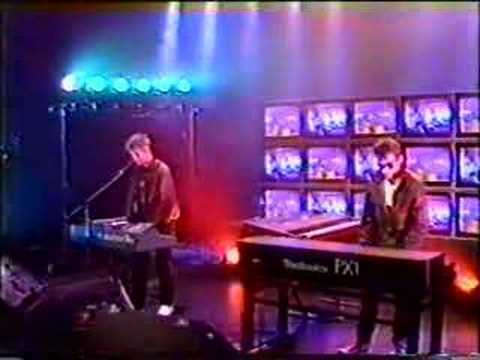 The presenters at that time were Andy kershaw and Mark Ellan! When the show went out live that evening they were just counting down to the start and when they got to 3 there was a massive bang, everyone looked around but nobody could see anything obvious and in any case it was too late to do anything about it as they were already running the theme tune! 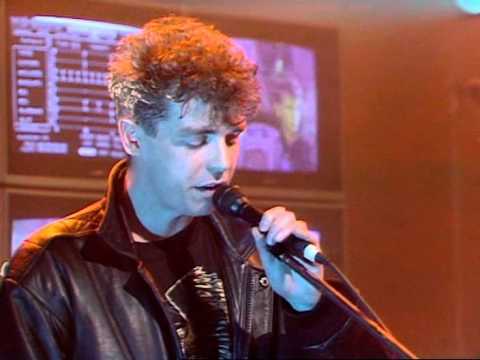 The Pet Shop Boys played Opportunities and Later Tonight during the show – one of the first times they’d ever played live!